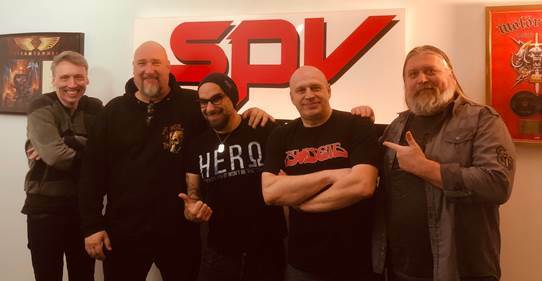 RAGE - RAGE sign with SPV/Steamhammer! Rage are planning to embark on a festival tour across Europe even before delivering their new material to present, together with the Lingua Mortis Orchestra, the full XIII album live for the first time. The show had its baptism of fire at the 70,000 Tons Of Metal Cruise, and a special highlight will be Rage‘s appearance at the W:O:A at the beginning of August 2019. Towards the end of the year, Rage are scheduled to play lots of important winter festivals, before their major Wings Of Rage tour kicks off in February 2020. © 2019 RAGE. All Rights Reserved.